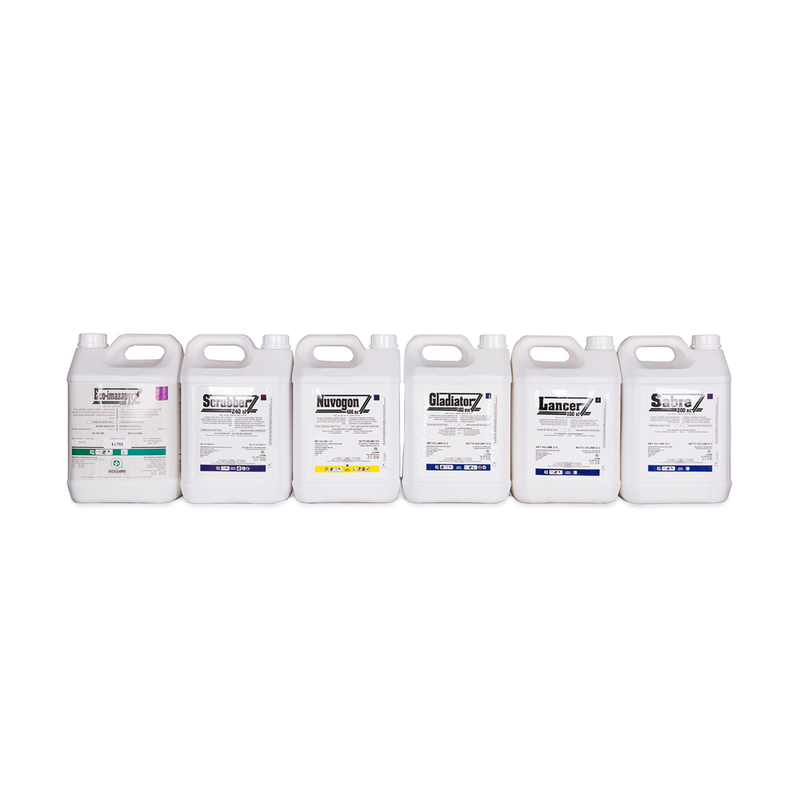 L9306 ACT 36/1947/ HERBICIDE GROUP CODE O SCRUBBER 240 SL is a residual, water soluble, systemic herbicide acting through leaves, roots and cut surfaces for the control of woody plants in grazing, conservation and non-crop land. 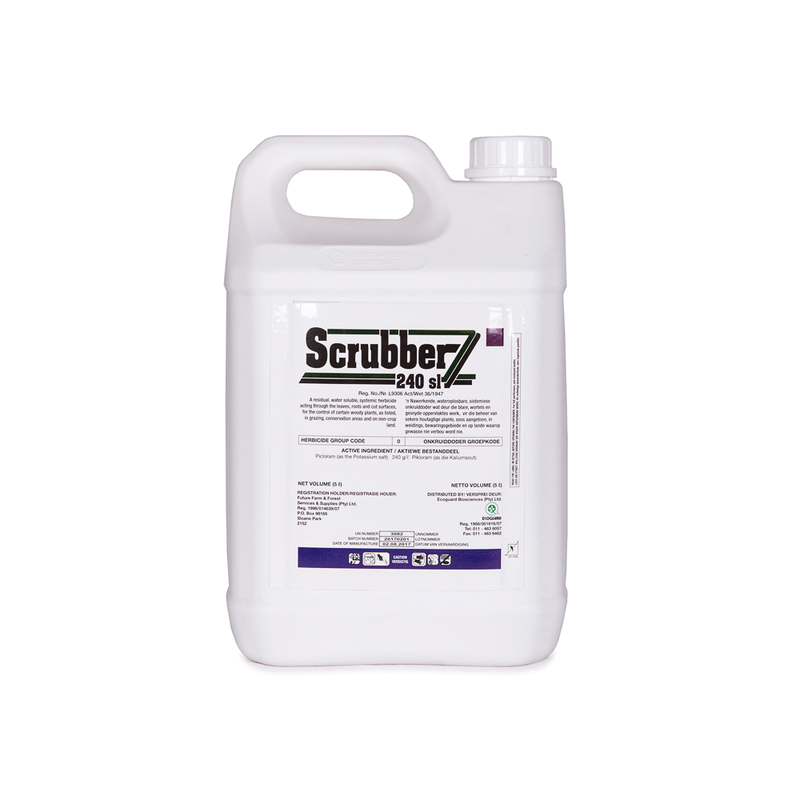 Scrubber 240 SL acts as an “auxin mimic” (synthetic growth hormone) which causes uncontrolled and disorganized growth in susceptible plants. 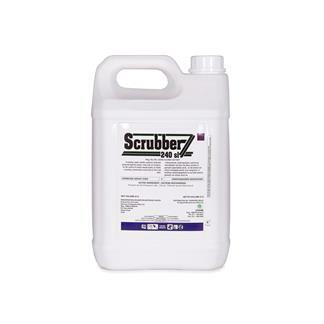 Therefore SCRUBBER 240 SL should only be applied to actively growing plants. SCRUBBER 240 SL does not bind strongly with soil particles and is not degraded rapidly in the environment, allowing it to be slightly mobile and persistent. In soils, Picloram is degraded primarily by microbial metabolism, but it can be degraded by sunlight when directly exposed to water or on the surface of plants or soil. SCRUBBER SL can be applied by knapsack or tractor at roughly 250 – 300 litres of spray mix per hectare. 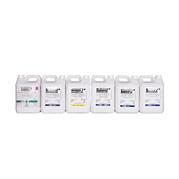 It should be applied as a full cover spray to leaves and stems on actively growing plants with full leaf cover, up to 2 metres in height.